On August 21st, an italian dinner was organized in our office. TRY past events, helped refugees to get to know better lithuanian culture, food and traditions, to become integrated in the country they are currently living in. However, Lithuania is also a proud member of the European Union, thus the path we are following together with the refugees should move them closer not only to Lituania but to Europe too. 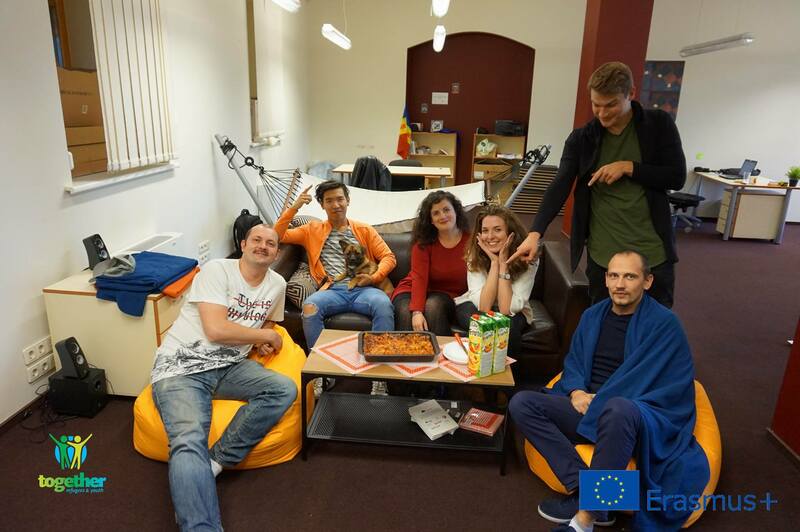 For that reason we decided to organize some events aimed at introducing different uropean countries. What a better start than an Italian dinner? Our Apulian colleague Grazia introduced us and some refugees to Italian food and culture. Grazia made some Lasagna and Tiramisù, explaining their traditional receipes and traditions. 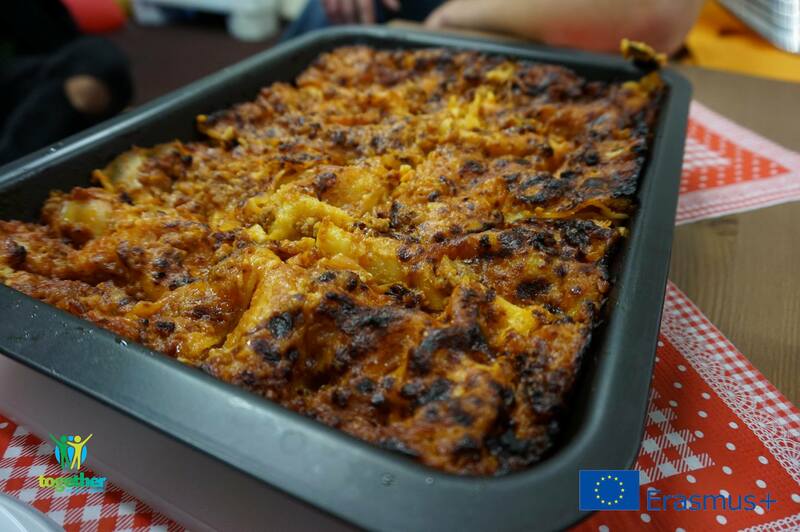 Lasagna, one of the most famous dishes of Italian cuisine. It is usually eaten on Sundays, when people are free from work and it is possible to gather family and friends and spend nice time together. 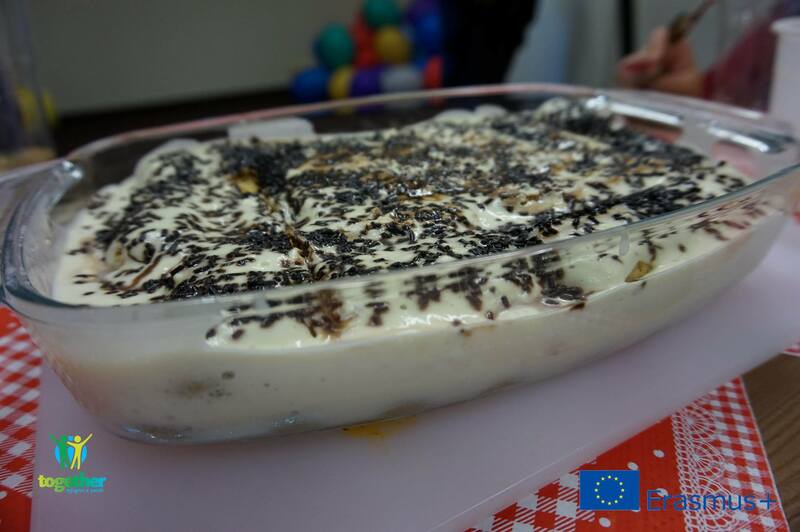 Tiramisù is the most common dessert in Italy (together with gelato). It is made of special cookies savoiardi, mascarpone cheese and coffee. While eating, we had the chance to know more about this sunny country and its cheerful people. Some refugees knew some Italian songs and we sang and danced together. While waiting for the next country, check- out the pictures of this event at our FB Album .